Down & Out Books, 9781943402823, 296pp. 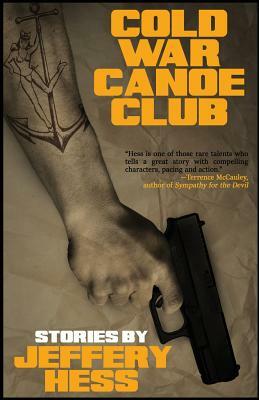 "Eerily timely and rendered with gritty realism, Cold War Canoe Club beckons us to recall a time when actions and attitudes appeared motivated by an entire world perpetually hovering along the brink of utter destruction. Each tightly woven gem of a short story represents a microcosm of the Cold War macrocosm, and dares to expose Hess as a genius for his artful juxtaposition of humanity's brash boldness with humanity's amnesic naivet ." -Tracy Crow, author of Eyes Right: Confessions from a Woman Marine and editor of Red, White, & True: Stories from Veterans and Families, WWII to Present.